No experimenting. It’s best to head straight for the Z series. This is Lenovo’s advice, but we can’t follow it without some reservations. Weak battery life and poor screen contrast are combined with a high-quality aluminium finish and an excellent keyboard. 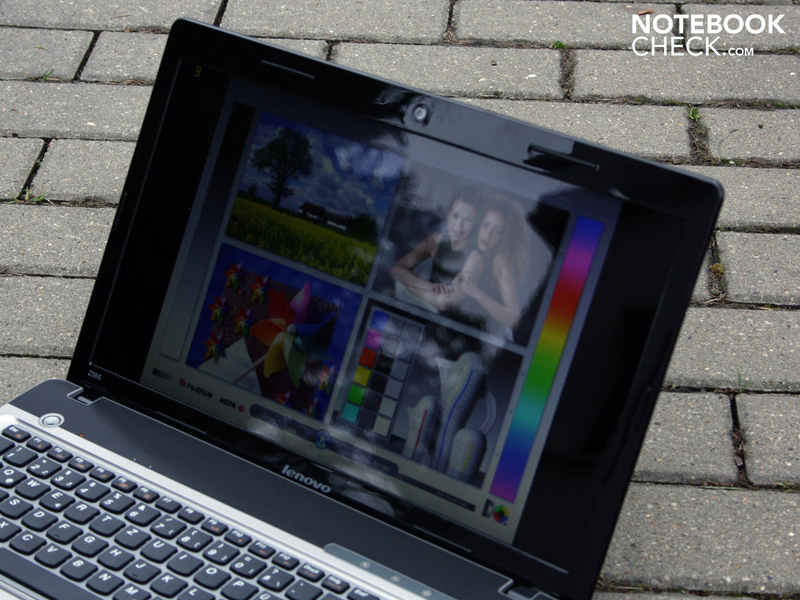 Lenovo IdeaPad Z565-4311 (M39AAGE): good allrounder or overrated entertainer? 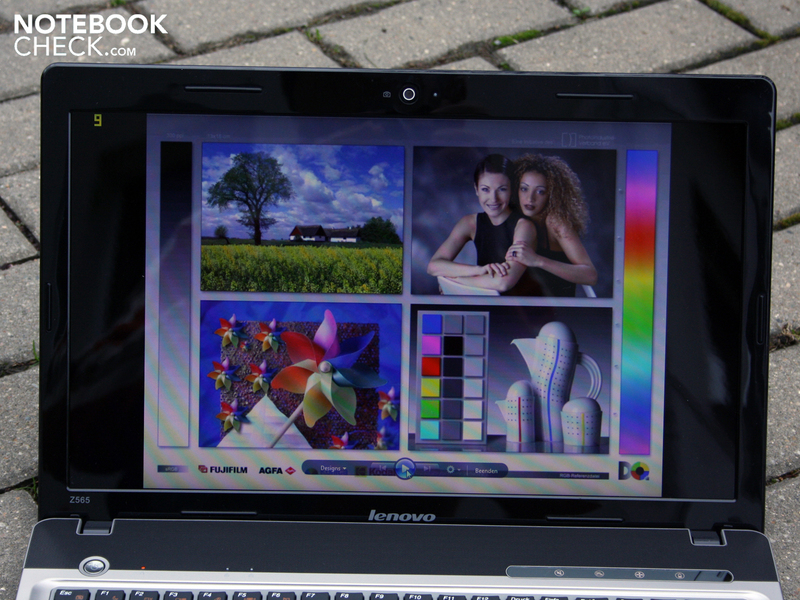 Lenovo’s IdeaPad series of notebooks is targeted at the style-conscious, entertainment-seeking consumer. Always on the lookout for something slightly different, they stumble through an endless array of nondescript notebooks but pause instinctively at the IdeaPad Z series, because the price matches their budget and its “trendy design with a cool, metallic finish” looks just great. Also, it’s “from the creators of ThinkPad”, so what could possibly go wrong? It will not have escaped the reader’s attention that we are poking fun at Lenovo’s marketing language. 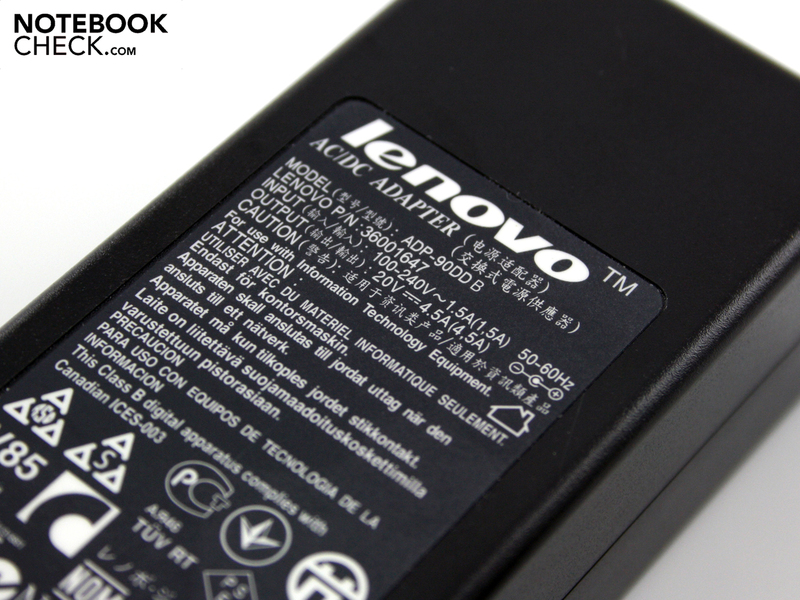 But aside from these puffed-up phrases from the Lenovo think-tanks, we would like to take a serious look at the IdeaPad Z565 (M39AAGE) which we have before us. As we have already hinted, it’s not quite as perfect as the manufacturer makes out. But it does have some good features which will earn it some support. Lenovo has come up with a distinctive look for the Z565. The top surface of the base unit has a pleasant, high-end feel to it, thanks to the brushed aluminium surfaces, the finely perforated section above the keys, and the exactness of the workmanship. What particularly catches the eye is the base unit’s robust and durable aluminium enclosure. Its appearance and texture contrast strongly with the glossy finish of the lid and screen edging. It makes sense to have it that way round; the areas which will see the most hand contact are matt, and therefore more resistant to fingerprints. This makes it easier to work with the machine; you only have to use a cleaning cloth on the front and back of the lid from time to time. 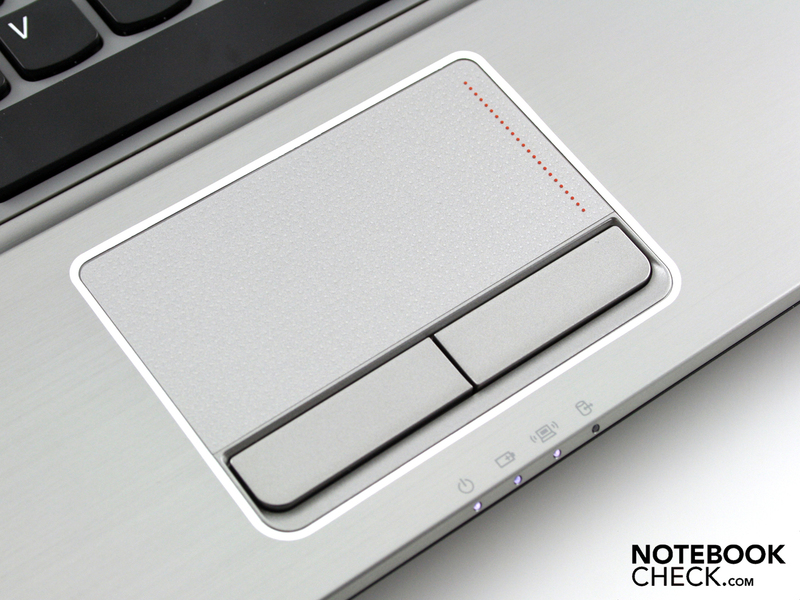 The palm rest area, the base plate and the area above the keyboard sit firmly in position and do not flex at any point. The base unit will move if you try to twist it with both hands, but only by a small amount. 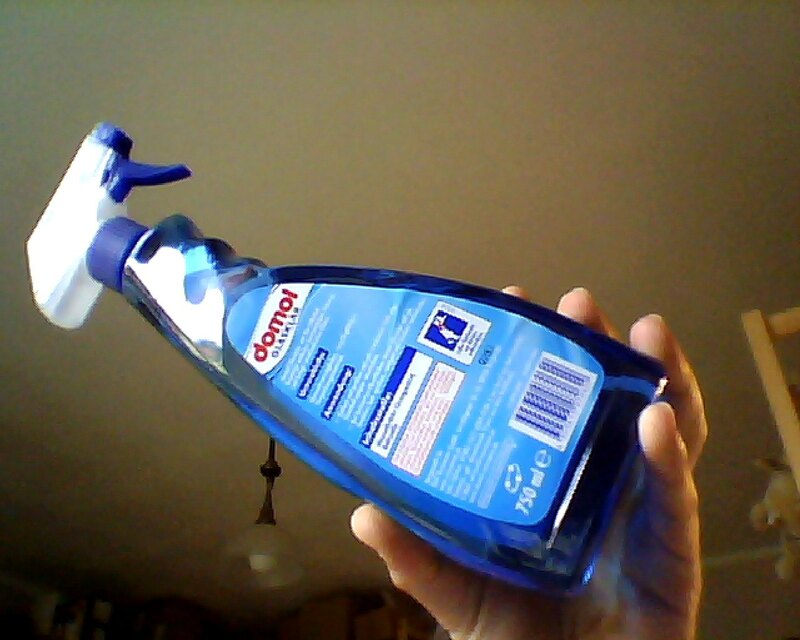 It is clear that the aluminium cover has a stabilising effect. The 15.6-inch lid does not let the side down in terms of robustness, which is a surprise given its size. We could make very little impression on the lid when applying pressure with one finger, even in the centre. Holding the lid by two corners, we could only twist the screen by a few degrees each way. It is impressively rigid. The lid’s two hinges are attached firmly to the base unit. But when shaken and jolted (on a car or train journey) the lid does wobble noticeably, as it is held rather loosely by the hinges. When the lid is opened as far as it will go (about 135 degrees) it can wobble back and forth quite strongly. 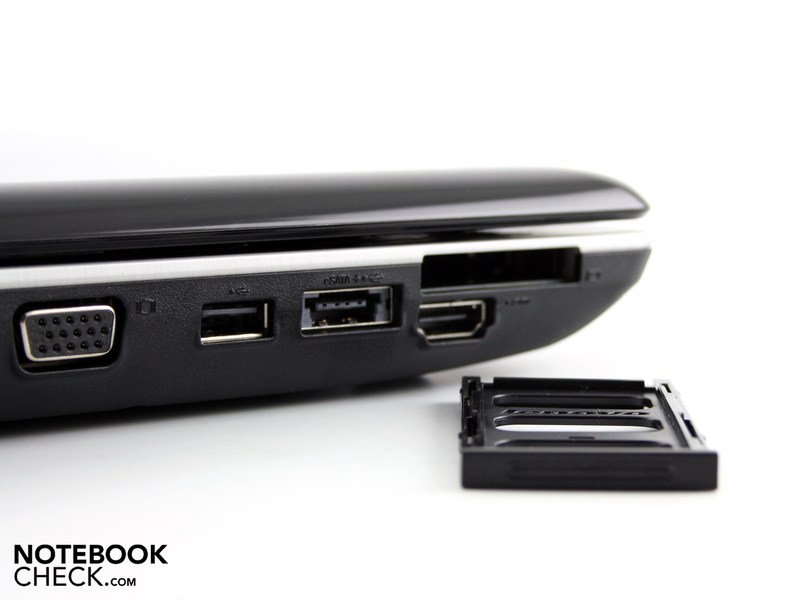 The IdeaPad Z565 has sufficient ports for connecting up a printer, router, mouse or hard drive. There’s also an eSATA combined with USB 2.0, but no Display Port or FireWire. The majority of the ports are on the left-hand side, with the optical drive positioned on the right. External monitors or screens can be connecting using HDMI or the analogue VGA port. There are only three USBs in total, and that includes the combined eSATA port. The positioning of the ports towards the front of the machine is not especially helpful either. Left-handers will be at a disadvantage when using a mouse; USB cables will get in the way and an HDMI or VGA cable would be particularly troublesome. It would have made more sense to position these ports on the back of the machine or at least towards the back of one of the sides. 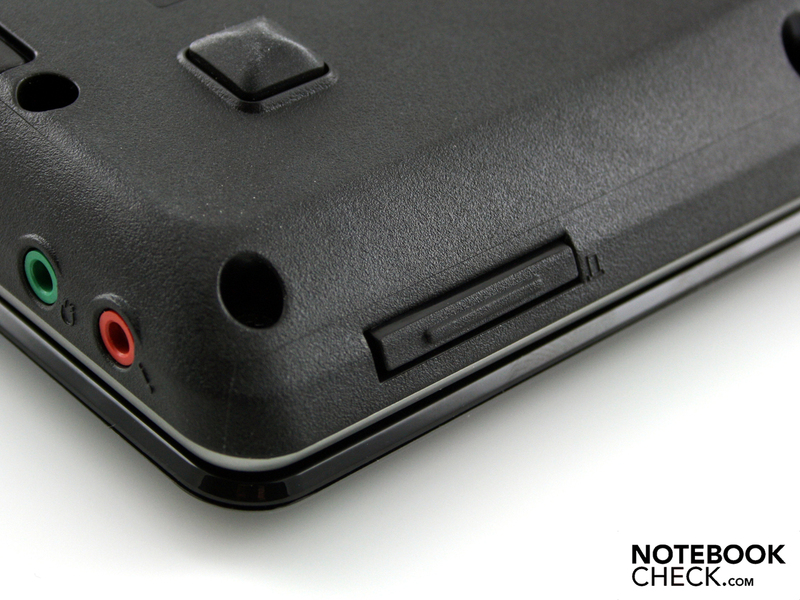 However, the back edge cannot be used for ports because of the notebook’s hinge mechanism which is deeply embedded there. Docking stations are used with business notebooks to reduce the untidy appearance of ports, but there are no docking stations for the IdeaPad Z series. 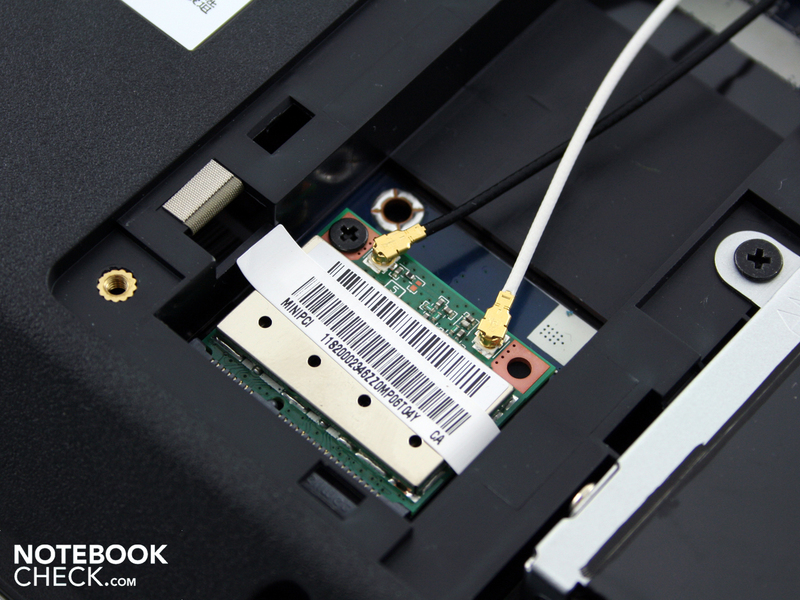 Draft-N WLAN (Atheros AR9285) is the only wireless technology in our Z565. It did not come with Bluetooth, although some versions in the online shop do include it. Our review model was the version listed as Z565 M39AAGE. But at least they have not been stingy with the Atheros AR8151 PCI-E gigabit ethernet card. It will communicate with your home network at the highest possible speeds. In terms of freebies, you don’t get much more than Windows 7 Home Premium (64 Bit), and it does not even come with a recovery disk or driver DVDs. New owners are therefore advised to create a back-up using OneKey Recovery. In case of mishap, provided the hard drive is still in one piece, the tiny OneKey Rescue switch loads the recovery set-up. One genuinely useful freebie is a full version of CyberLink Power2Go 5 (burning software), along with Lenovo DirectShare by ArcSoft (data transfer over the network). 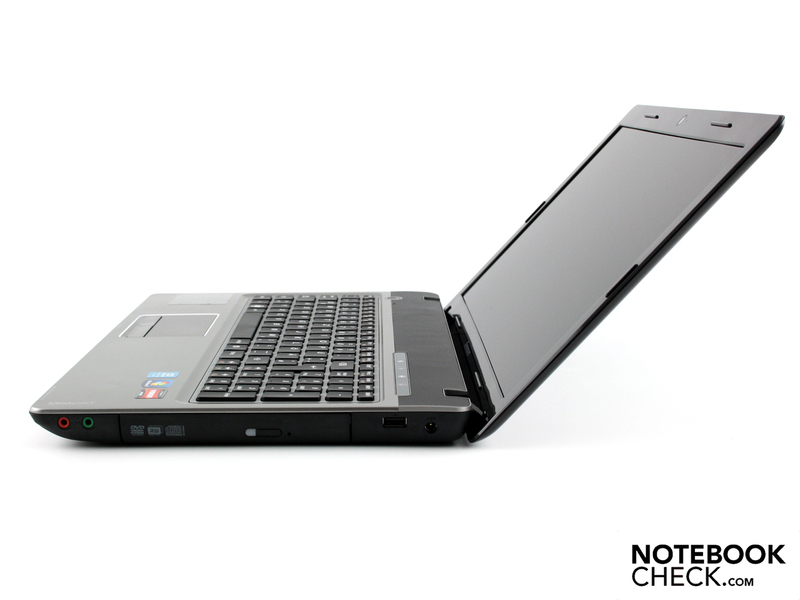 Lenovo offers a 24-month warranty for the IdeaPad Z series, on a bring-in basis (you have to return the notebook yourself). An extended warranty (three years collect and return) can be purchased for around €150. The keyboard is suitable for those who type a lot, as long as they don’t mind some of the keys being smaller than usual. It is a pebble-style keyboard with a light grey base, and each key is slightly concave which helps improve typing accuracy. The keys respond crisply and offer enough travel, but the impact at the end of the keystroke could be considered too soft for some people. However, this is not the fault of the keyboard base, which remains firm across its entire length. 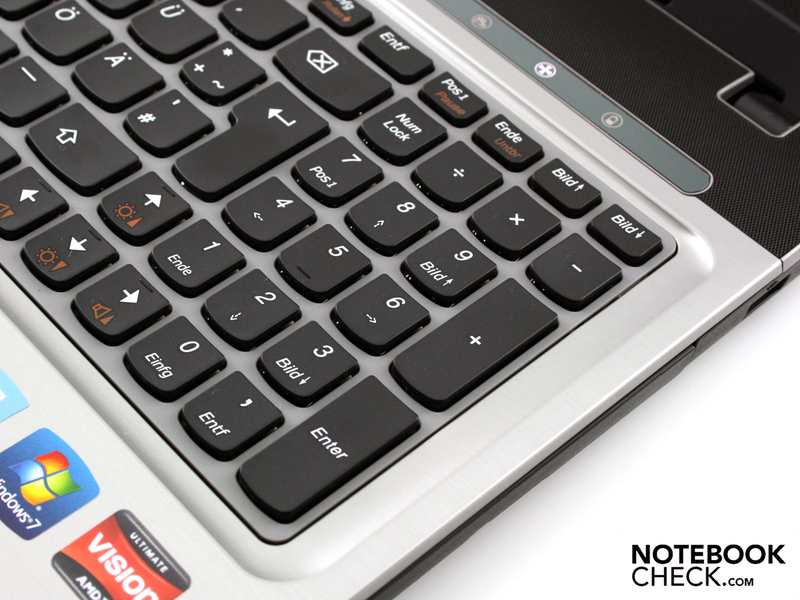 Lenovo has managed to fit a separate number pad into the layout, emphasising that this allrounder notebook has office capabilities. Having a separate number pad makes it easier to input figures. These keys are a little slimmer than the letter keys. The biggest failing is that certain keys have been made smaller than they should be, like Enter, the right Shift key, and Backspace, while the arrow keys have been jammed into the layout without anything to separate them from the others. One excellent feature is the clear white lettering on the keys. Special functions like screen brightness, volume, mute, play/stop or turning the WLAN on/off are marked clearly in red. The touchpad is a Synaptics Multitouch Pad (V7.2). Its surface is not completely smooth and level like you might expect; it is covered in small dimples which provide some resistance. However, your finger can still slide across it easily. The touchpad has a horizontal scrollbar (disabled at first) and a vertical scrollbar which is marked. 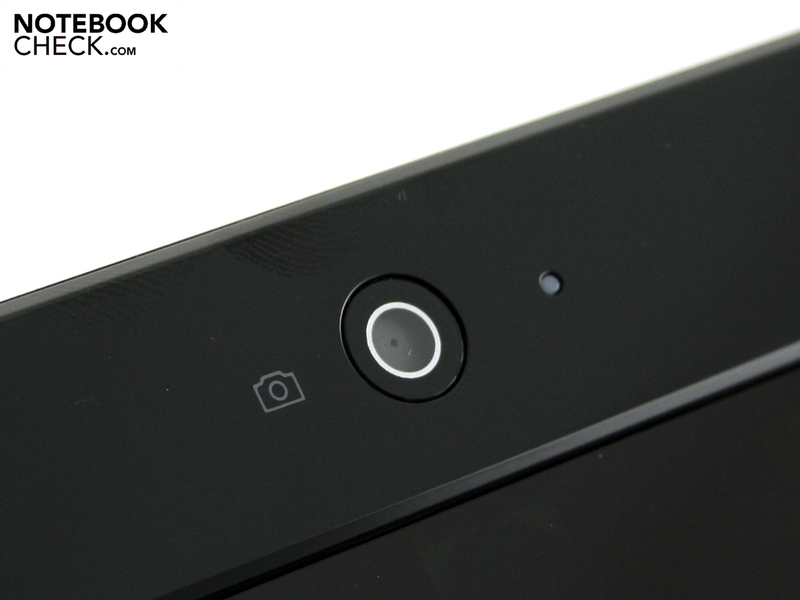 Functions like the two-finger pinch zoom are also disabled in the notebook’s initial state. 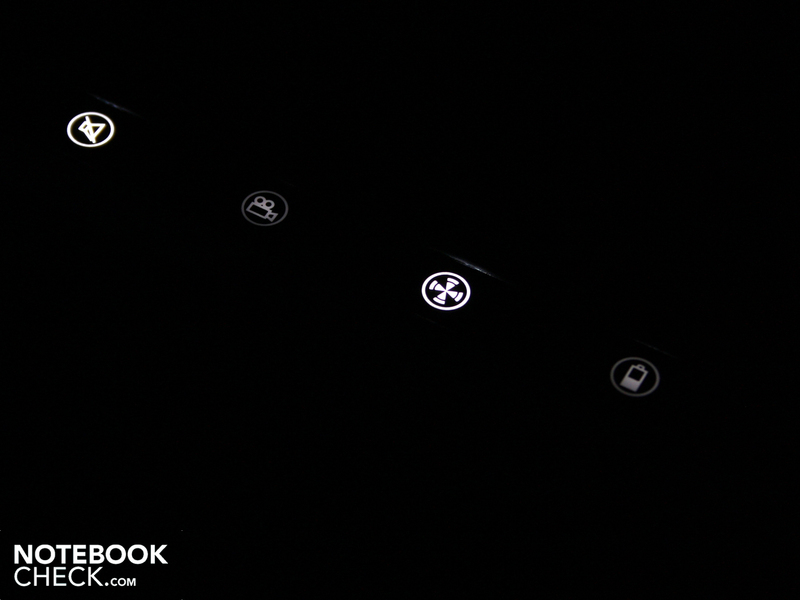 We have nothing but praise for the touchpad buttons. With a substantial stroke depth, a barely audible click and a soft final impact, they seem a little shaky at first. But in fact they turn out to be excellent to work with, because the tactile feedback they give is better than most consumer touchpads by a long way. 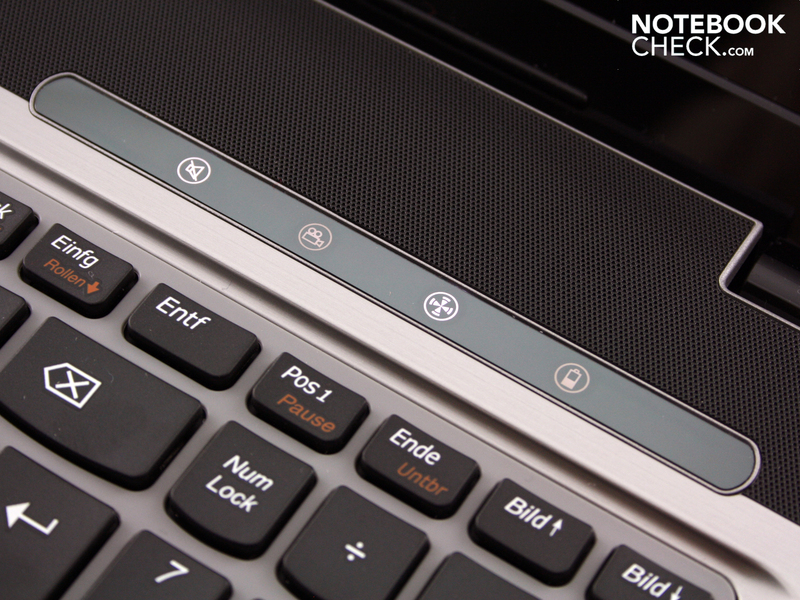 The feedback is similar to the pads on the HP Pro- and EliteBooks. The matt LED screen (type LTN156AT05J01) has a native resolution of 1,366 x 768 (16:9). This WXGA resolution is a little grainy for a 15.6-inch display. Lenovo uses the same screen in its budget office laptop the IdeaPad G560, and so the Z565 has exactly the same weaknesses. We measured the black level to be 1.22 cd/m² (contrast ratio 168:1). 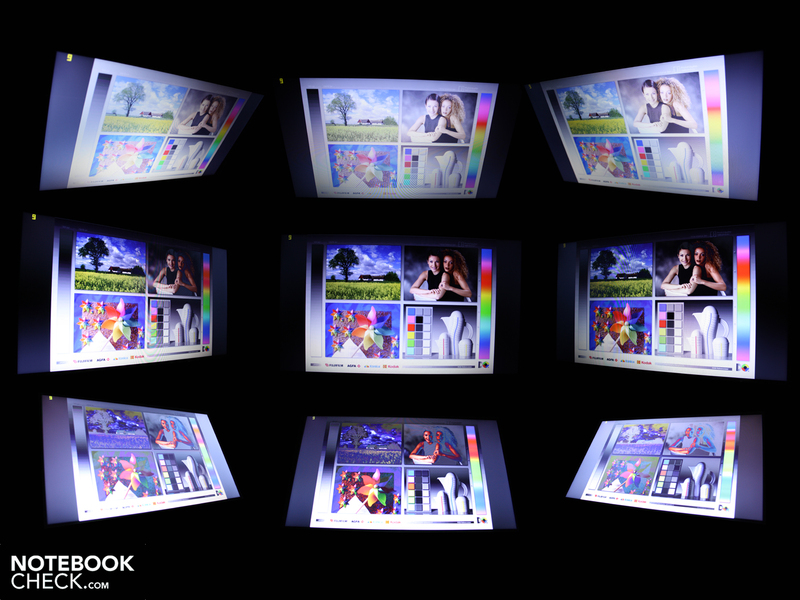 The widescreen display does not show black areas as a true deep black, as they would be on a perfect TFT monitor. Instead they have a greyish tinge to them, which even the colour-enhancing glossy finish cannot remedy. A weak contrast such as this is typical for office notebooks, allrounders and netbooks, and so it is not really surprising. 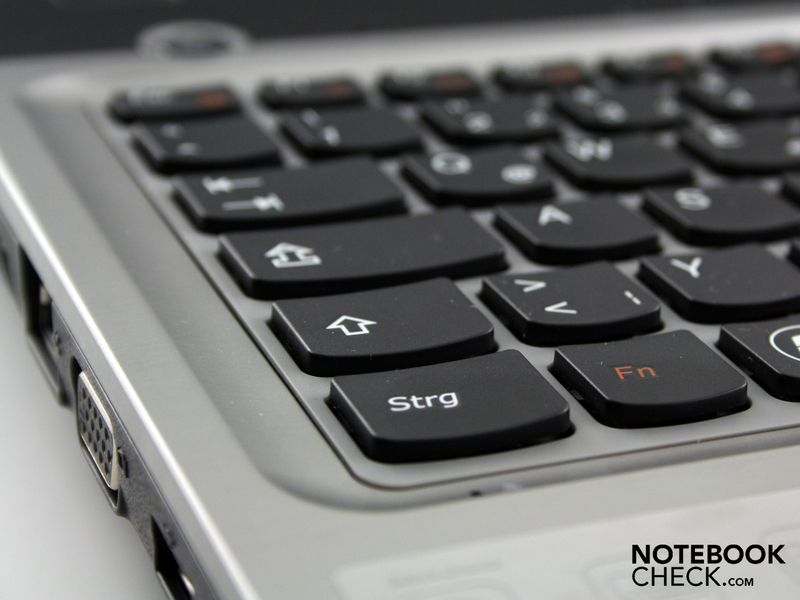 The screen quality is acceptable for an office notebook or allrounder, though office users may have preferred a matt finish to reduce reflections. The display would be completely inappropriate for image editing professionals. The colour space falls a long way short of Adobe RGB 1998, which is frequently used, and it is a similar story for sRGB. The LED screen has a very even distribution of brightness across its surface (95%). In the centre we measured a maximum brightness of 205 cd/m². This only sank as low as 199 cd/m², towards the left side. This means there are no lighter or darker patches. Indoors, users rarely need a brightness above 180 cd/m², and so you would probably want to turn down the brightness a little so that the screen is not too glaring. The screen is not really suitable for outdoor use, for two reasons. Its glossy finish and moderate brightness mean it cannot contend with strong sunlight. Reflections obscure your view, depending on the direction of the light, and force you to reposition the lid. Unfortunately this is not demonstrated very well in our photos, as it was a heavily overcast, showery day, which made the picture quality quite acceptable outdoors. 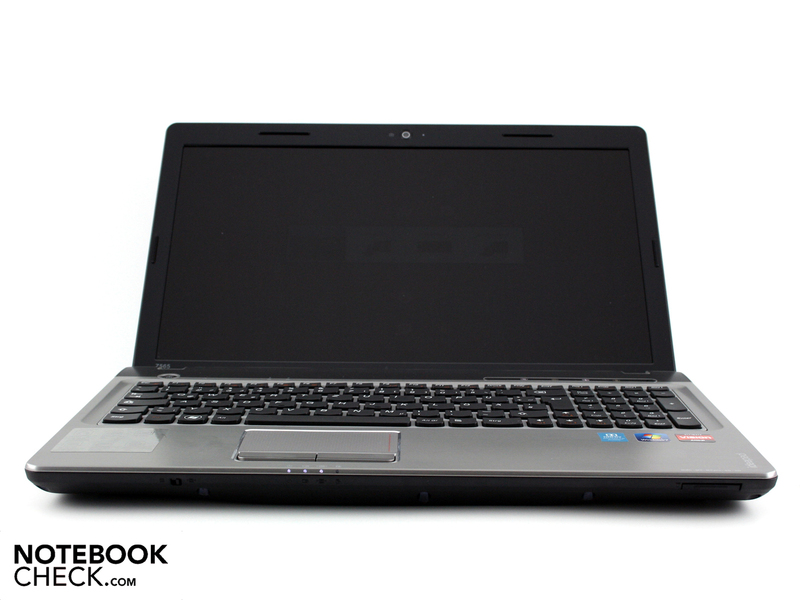 The Z565’s viewing angles are very limited; users do not have much room for maneuver. If the viewing angle is offset vertically (from above or below), the colours fade noticeably from around 20 degrees. Horizontally, we could deviate up to 45 degrees from the central line before the colours inverted strongly. 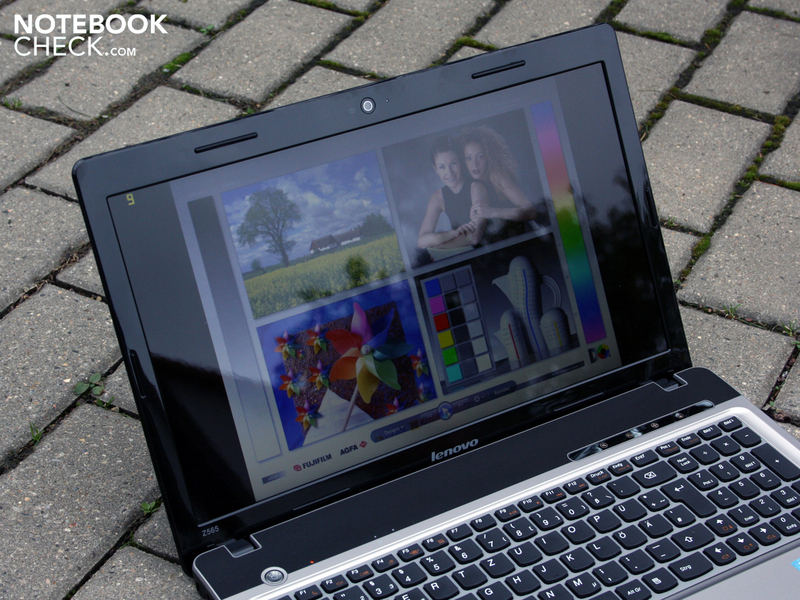 If several people are gathered around the IdeaPad Z565, to watch a film together or look at holiday photos for example, those coming from the higher and lower positions will have trouble making anything out, as the colours invert even with the smallest vertical change. However, this criticism can be made of most office and allrounder laptops. Good screens are hard to come by in every category. We have already encountered the AMD Phenom II X3 N830, a three-core mobile processor, in the Acer Aspire 5551G and the HP ProBook 6555b. Those who would prefer to have four cores can opt for a version of the Z565 (model M39ABGE) which comes with the Phenom II N930 (4 x 2.0 GHz). The N830 was produced using the 45nm process and has a speed of 2.10 GHz, faster than Intel’s quad-core processors (e.g. Core i7-720QM, 4 x 1.60 GHz). But, it does not have Intel’s overclocking function (Turbo Boost) or any equivalent of hyperthreading (where there is a virtual core for every physical core). 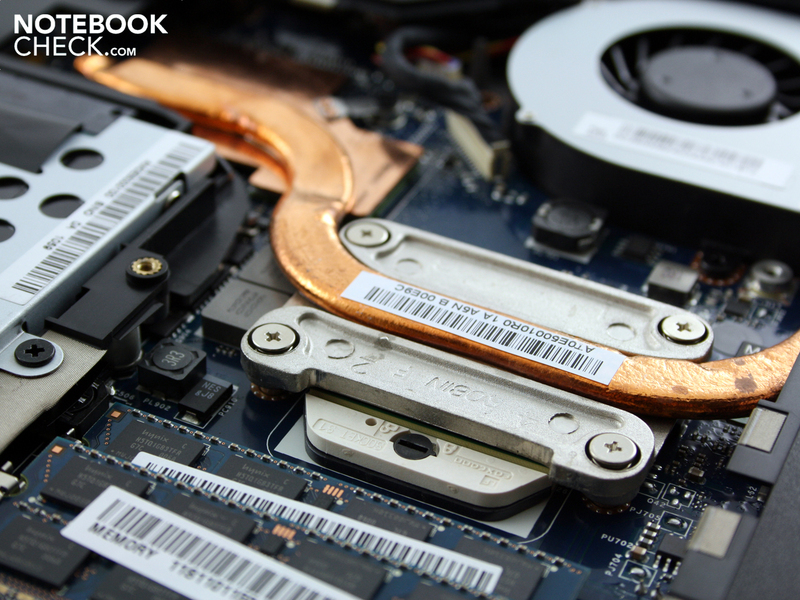 The energy requirement is on a par with the latest Core i5 models, with a TDP of 35 Watts. The Phenom II X3 N830 has a 1,536 KB L2 cache, but no L3 cache. So it has more L2 than the Core i3 or i5 processors, which have 512 KB. However, these come with L3 caches of 3,072 KB. For the CPU benchmarks we compared the Phenom II X3 N830 with its rival the Core i3-330M (two native and two virtual cores, 2.13 GHz), as they have almost exactly the same speed. The i3 also does not have Turbo Boost, so 2.13 GHz is truly its maximum. 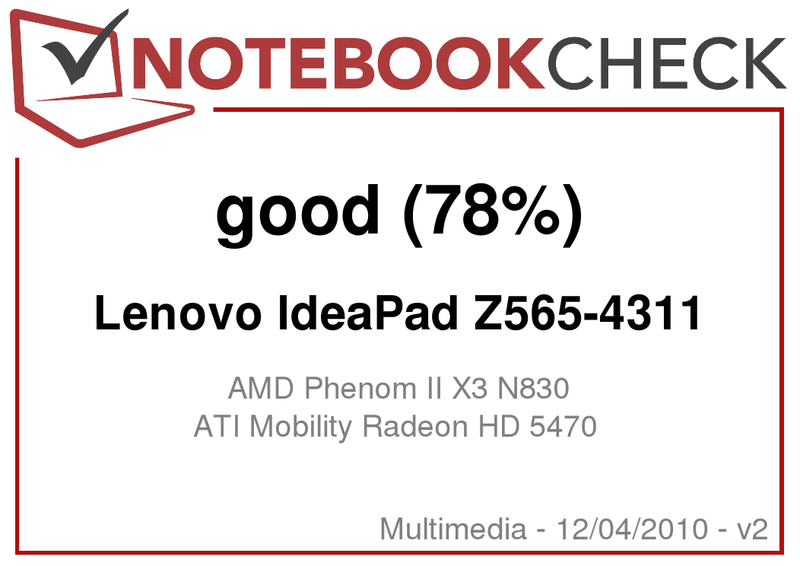 The IdeaPad Z565 scored 1.77 points in the Cinebench R11.5 test (multicore). This is on the same level as the i3-330M, which scores around 1.7 or 1.8 points on this test. Dual-core i5-520Ms would do better with scores from 2.0 to 2.2 points. In the other multicore benchmarks, the difference is somewhat greater but still not particularly marked. In the 3DMark Vantage CPU test the N830 does reasonably well with 5,261 points, but the i3-330M is a little faster with 6,150 points. The 520M is way out in front with 7,500 points. In the multicore rendering part of the Cinebench R10 (64 Bit) benchmark, the i3-330M (6,534 points) is slightly ahead of the N830 (6,021 points). This is because the i3-330M can make use of four threads. Speed plays the decisive role in the single-core rendering part of the Cinebench R10 (64 Bit). The N830 (2,279 points) falls slightly behind the i3-330M (2,751 points) and significantly behind the i5-430M (3,400 points). The PCMark Vantage test determines the system performance of a processor, in conjunction with the other components of a multi-tasking PC, taking the hard drive, GPU and RAM into account. But the Z565 does not earn any extra points from its hard drive, as you can see from the HDD sub-score of 2,894 points. The Vantage test produces a score of 4,093 for the Z565. 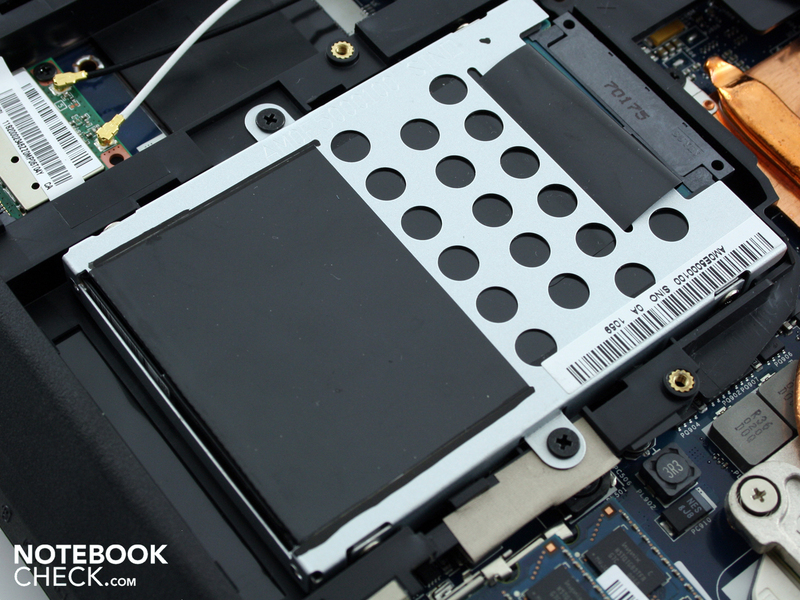 This puts the 15.6-inch machine on the same level as strong Core 2 Duo systems from 2009 such as the Apple MacBook 2010-05 (P8600) or the MSI Megabook GX620 (P9500). 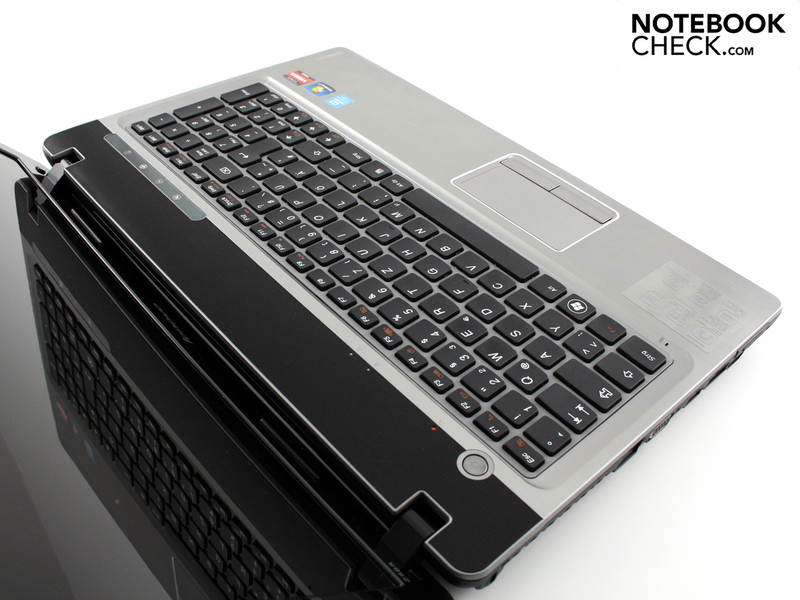 But the Z565 scores lower, though not drastically lower, than the i3-330M notebooks. These generally range from 4,500 to 5,000 points on the PCMark Vantage benchmark (depending on the hard drive, GPU and RAM). 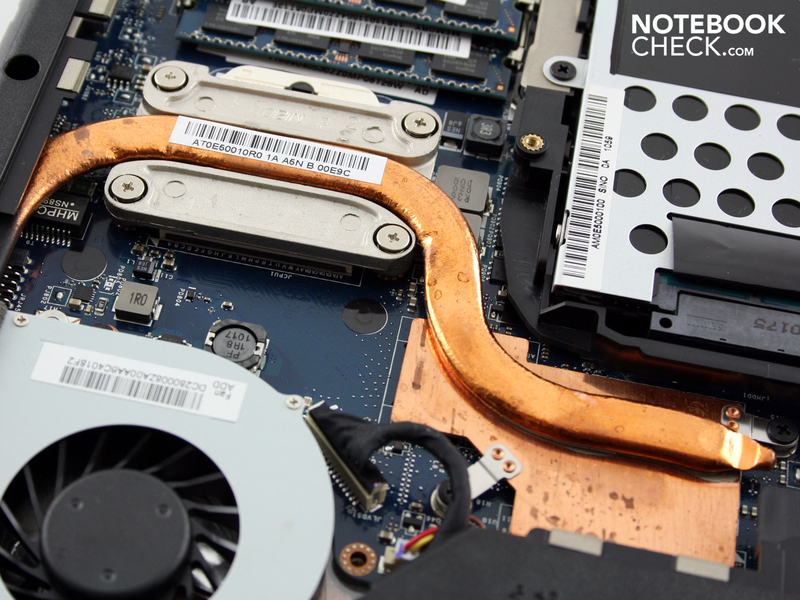 Laptops with a stronger dedicated GPU do not necessarily produce better system performance. 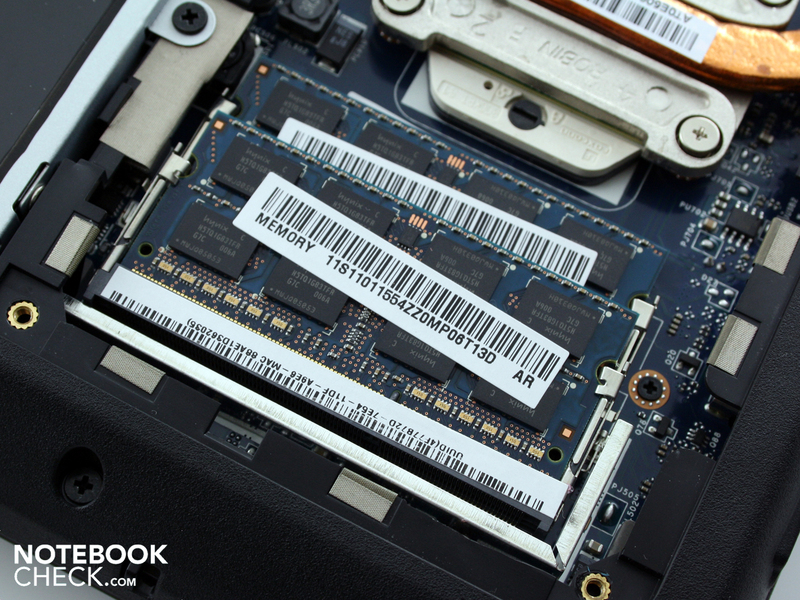 The closely related AMD P920 (4 x 2.0 GHz) processor in the Acer Aspire 5625G-P924G50Mn (HD 5650) scores only 4,151 points. Overall the Z565 with a triple-core AMD N830 processor falls just short of an i3-330M system, the smallest of the Arrandale models, in terms of performance. Multicore applications do benefit from the Phenom’s third core, and the computer feels pleasantly fast, though not lightning fast. The Z565’s hard drive is a 5,400 rpm Seagate model. The 500 GB HDD (ST9500325AS) produces a sequential read speed of 65.9 MB/s with its rotating disks. While this is only an average speed, it is standard for a modern 2.5-inch notebook hard drive. The hard drive is barely audible even during heavy use of the reading and writing heads. We had to put our ear to it to even hear it: 31.8 dB(A). 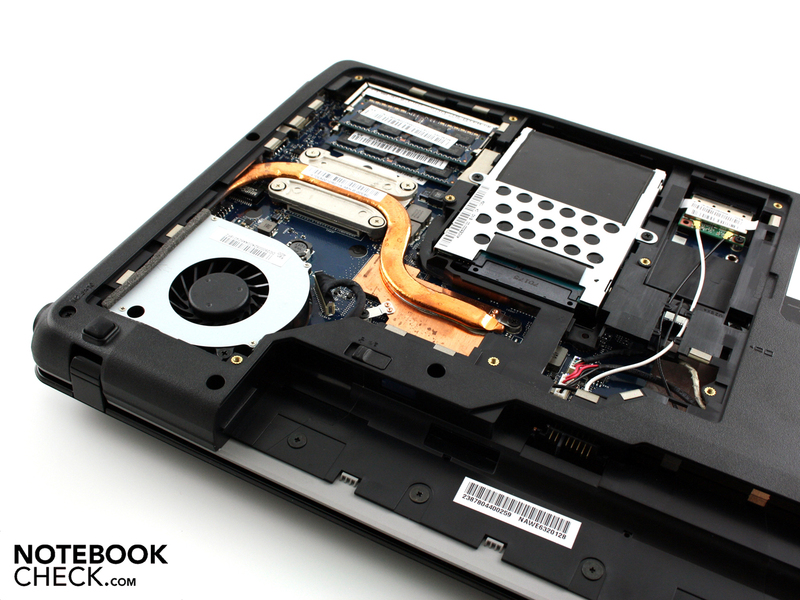 The IdeaPad Z565 will never be a gaming laptop, thanks to the limited capabilities of the ATI Mobility Radeon HD 5470, which have been demonstrated many times before. This is an entry-level GPU which we would place in the upper half of our third performance class. The HD 5470 has access to 512 MB of GDDR3 video memory. The memory has a speed of 800 MHz, while the core has a speed of 750 MHz. Despite the high speeds, the processing power is relatively small at 120 gigaflops (compared to the HD 5650 with 360-520 depending on speed), because it only has 80 MADD processing cores available to it. The GPU supports DirectX 11 effects. The GPU surpasses its predecessor the HD 4570 in terms of gaming performance, thanks to its slightly higher speed. However, it still only scored a weak 3,634 points in the 3DMark06 test. Intel systems with this GPU are at roughly the same level with around 3,700 to 3,800 points (e.g. 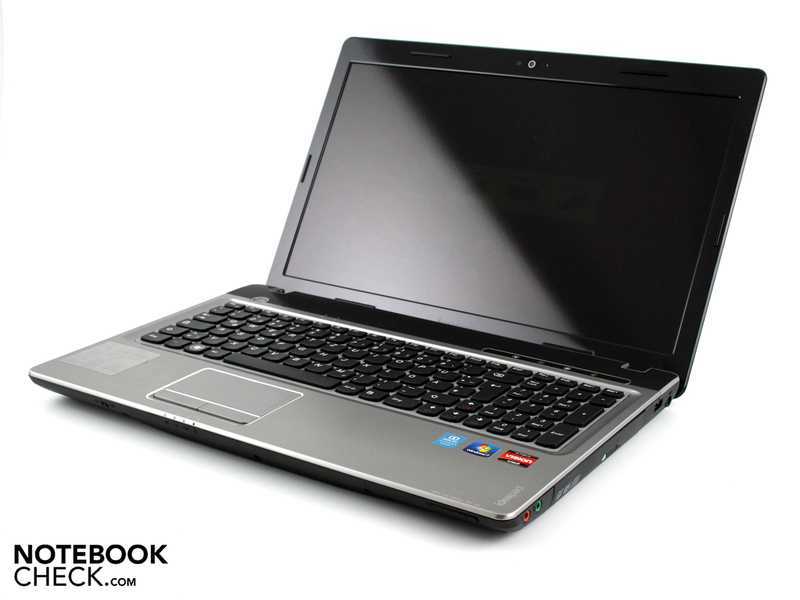 the Aspire 5741G-334G50Mn or Asus K52JR-SX059V). 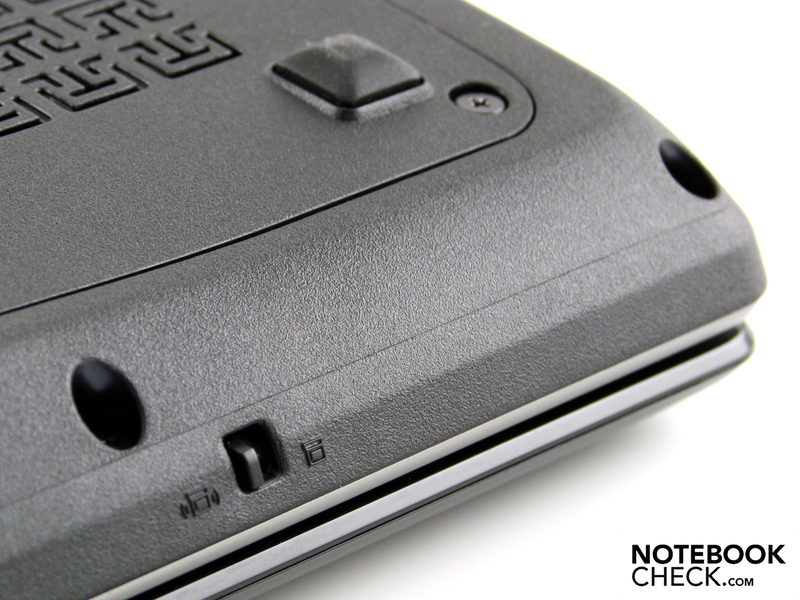 Because the HD 5470 has already been tested extensively, we only carried out two gaming tests. 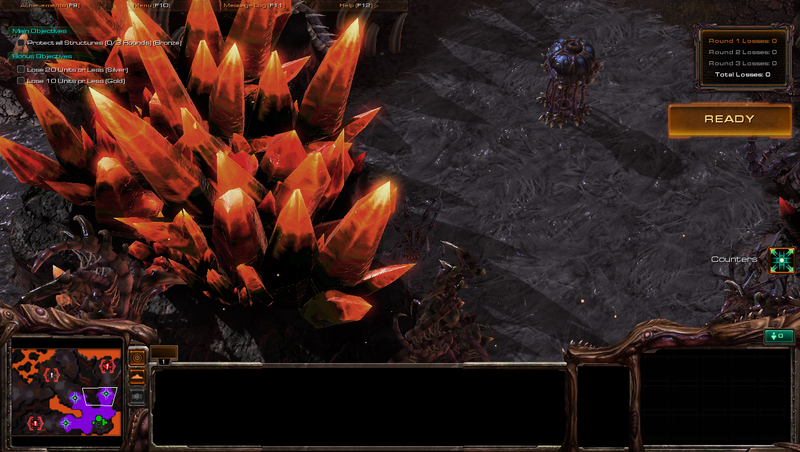 This hit science-fiction sequel by Blizzard is only moderately demanding in terms of graphics. With an Nvidia GT 330M it is (just) playable on the high detail settings (30 fps, Vaio F12Z1E/BI). But the HD 5470 in this Z565 can only manage 13.4 fps (high details), which could be partly down to the comparatively weak AMD processor. The game is only really playable once you select the minimum detail setting (1,024 x 768). As we had feared, Take 2 Interactive’s Mafia II was not much fun to play on this machine. The shooting in the integrated benchmark was not completely fluid (28 fps) even on the lowest setting; the middle setting gave a frame rate of 17.7 fps. An HD 5650, in conjunction with a strong processor, can manage up to 44 fps (as much as 120% faster). The results of both gaming tests are clear: not much is possible with the ATI HD 5470. Modern and demanding games in particular should not be on your wish list. But it has enough power to cope with older games like Left 4 Dead or World in Conflict on the medium detail settings. 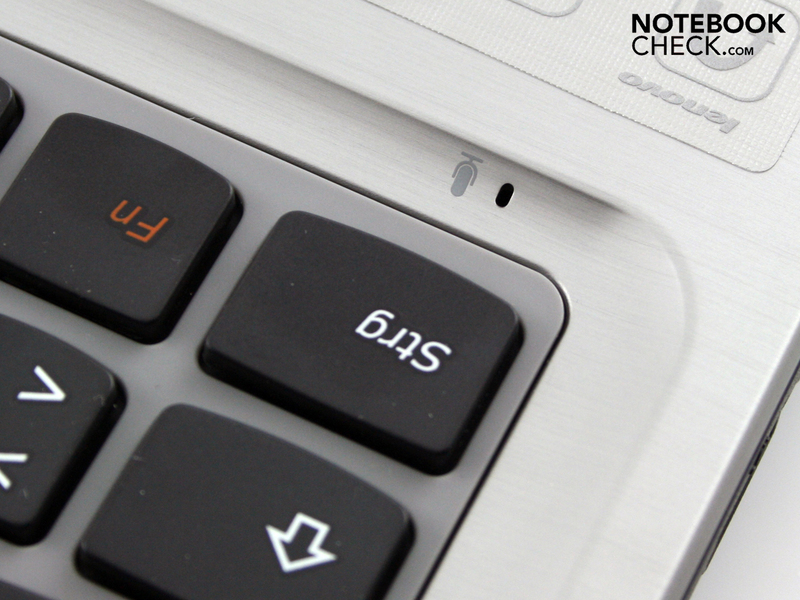 When it comes to noise, the 15.6-inch Lenovo notebook is at times acceptable and at other times irritating. 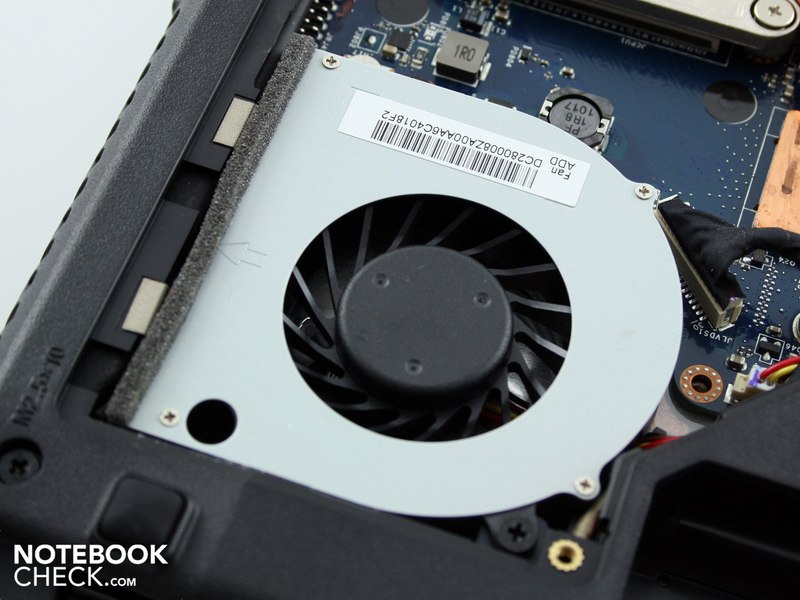 Its biggest defect is a whistling, buzzing sound that emerges at certain medium fan speeds. A touch-key with a fan symbol on it can be used to slow the motor down, which does reduce the noise level considerably, but fails to stop the buzzing sound. This does not have any impact on performance; the processor speed remained the same during a CPU benchmark. 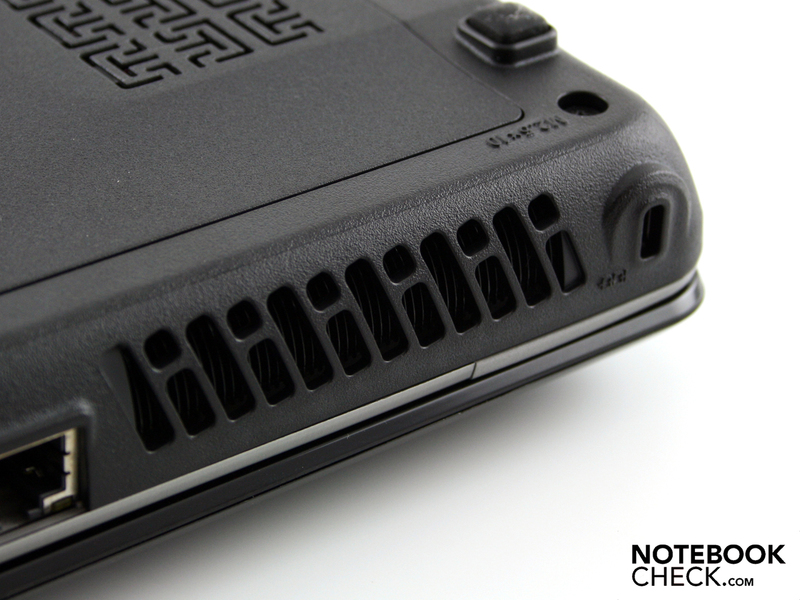 Whether or not silent mode was used, the cooling system makes its presence felt with this constant metallic whistling sound on the middle fan speeds (34 to 37 dB(A)), a continuous whistling tone. This noise is not particularly loud in terms of volume (around 34 dB(A)) but we found it distracting. When the fan is on its maximum level the buzz disappears, or rather is drowned out by the rest of the fan’s whirring. When surfing the net, listening to music or typing in Word, the fan operates at a slow speed (32.5 dB(A)) and at times turns itself off completely. However, after a few minutes of being completely switched off, it does have the curious habit of roaring back into life for 10 seconds before falling silent again or settling back down to the lowest fan setting. During the two gaming tests the cooling system reached a noise level of 37.2 dB(A). It was only during the two-hour stress test (Furmark and Prime95) that the fan could be brought to its maximum level of 41.1 dB(A). At this point the fan was constant with no trace of the aforementioned annoying buzz. The temperature measured as high as 44 degrees during heavy usage (the stress test) on the top side of the laptop. This would give you warm fingers on the left half of the keyboard. The bottom side reached 40.5 degrees in the centre. During text editing and web surfing, the average temperature on the underside was 32 degrees. The palm rest area also stayed between 27 and 33 degrees which is acceptable. (±) The maximum temperature on the upper side is 44.2 °C / 112 F, compared to the average of 36.5 °C / 98 F, ranging from 21.1 to 71 °C for the class Multimedia. (+) In idle usage, the average temperature for the upper side is 31.2 °C / 88 F, compared to the device average of 30.9 °C / 88 F.
(-) The average temperature of the palmrest area of similar devices was 29.1 °C / 84.4 F (-8.5 °C / -15.3 F). 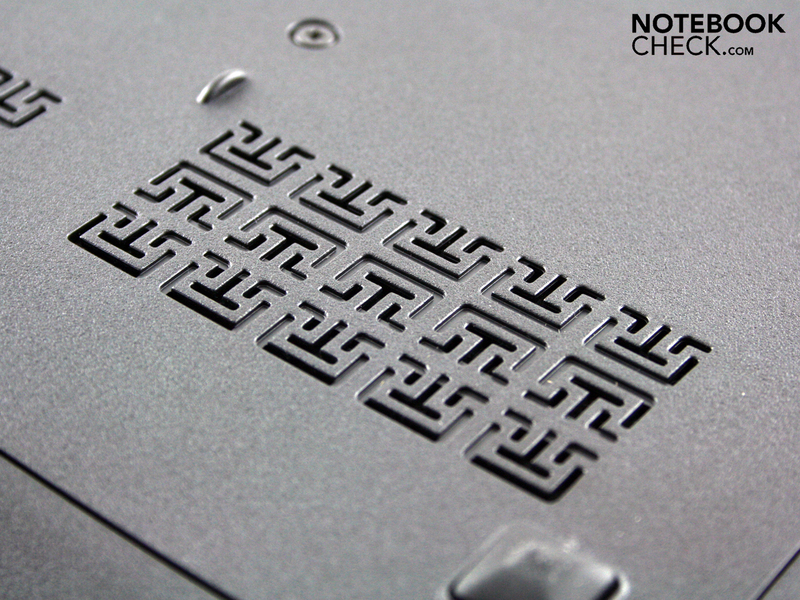 The stereo loudspeakers are positioned above the keyboard, under a perforated grille. Lenovo may boast of good sound quality and two-inch loudspeakers, but in fact the quality is far from acceptable for a multimedia machine. The sound emphasises the higher frequencies disproportionately and only catches a part of the middle frequencies. The bass is completely neglected. Altogether the sound is very thin, and this cannot be improved by the sound improvement settings for the loudspeakers (control panel). 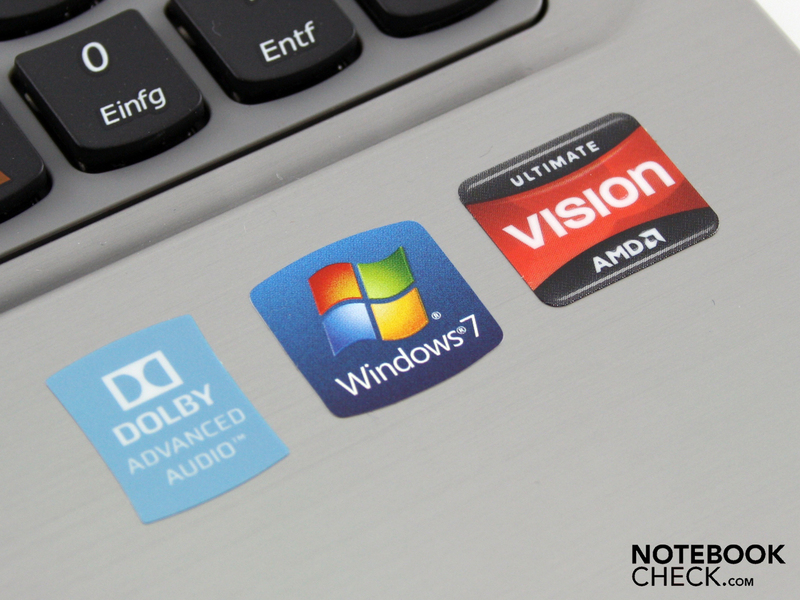 There are none of the Dolby Surround improvements which many other laptops have. The volume is sufficient but not particularly high. Fans of hi-fi will find the sound quality to be an insult to their ears, and will hurriedly reach for their headphones. We tested the 3.5mm audio output with two Yamaha speakers (YST-M20SDP). We could not hear any distortion in the sound transferred from the notebook. 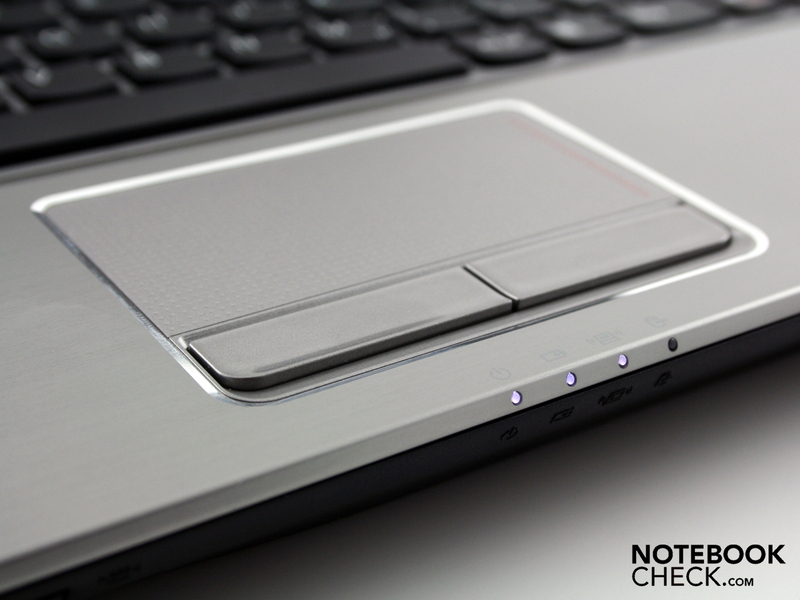 Netbooks and low-voltage processors have really raised expectations for notebook battery life. So the IdeaPad Z565’s 2 hours 34 minutes (154 minutes, WLAN surfing) is no longer anything to write home about. The Phenom N830’s high TDP of 35 Watts and the comparatively high energy consumption in idle takes its toll. Undemanding users could string out the battery life for as long as 3 hours and 26 minutes. This is the maximum run time (206 minutes) as measured by the Battery Eater Reader’s test, but it has little relevance for everyday use, seeing as the notebook is idle, with the lowest possible screen brightness and deactivated wireless module. The DVD battery life test gave a result of 121 minutes (2 hours and 1 minute). The Z565 would then be ready for the next film session after just 1 hour and 8 minutes of recharging (back to full capacity). 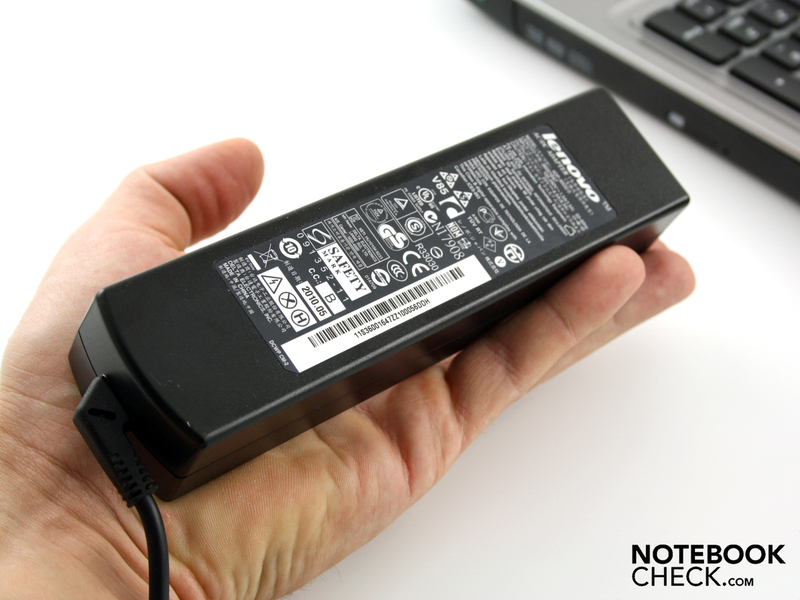 The 15.6-inch laptop has a 48 Wh battery (4,300 mAh). Heavy use test 64 min. The comparatively high energy consumption when idle ties in with the poor battery life. In the most idle state possible (all energy-saving options selected, minimum brightness, wireless off) the energy consumption is 15.9 Watts. The maximum idle energy usage (high-performance profile with no underclocking of the CPU) already reaches 28.5 Watts. These figures seem to be independent of platform and typical of AMD processors; the HP ProBook 6555b with the same triple-core CPU (HD 4250) produces very similar readings. When the CPU and GPU are both working, the energy use climbs even higher. The system requires 57.4 Watts during the 3DMark2006 test. We determined the maximum energy consumption with a Prime95 and Furmark stress test; the multimeter showed 72.4 Watts. This means the 90 Watt mains adaptor has an appropriate capacity. Despite all the words spent in its praise on the IdeaPad section of the Lenovo website, the Ideapad Z565 is not the perfect allrounder notebook. We found several flaws, and very few real strengths. Its appearance and workmanship, with the aluminium palm rest, set a coherent, sensible tone, one that would not be out of place in a serious office environment. Those who have to type all day will appreciate the accurate and responsive keyboard, whose only failing is that some of its keys have been shrunk to an unhelpful size. The touchpad is much better than the majority of consumer touchpads, because of the excellent tactile feedback from its buttons. Sacrifices will have to be made when playing modern games (i.e. the details settings and resolution), as the ATI HD 5470 is no more than an entry-level GPU. The application performance of the Phenom II X3 N830 (3 x 2.10 GHz) ranks just below the Core i3-330M, making it acceptable but not high-end. 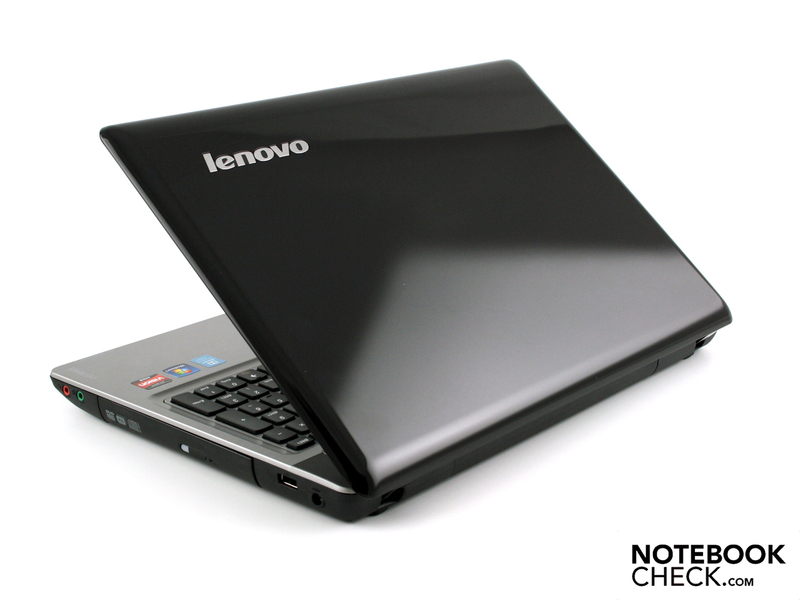 Lenovo has applied a high standard of workmanship to the 15.6-inch Z565. But the screen does not live up to the standard Lenovo has set itself. The “gorgeous” LED display (“quality images and smooth video and movie playback” - statements from the Lenovo website) turns out to have poor contrast, weak colours and limited viewing angles. 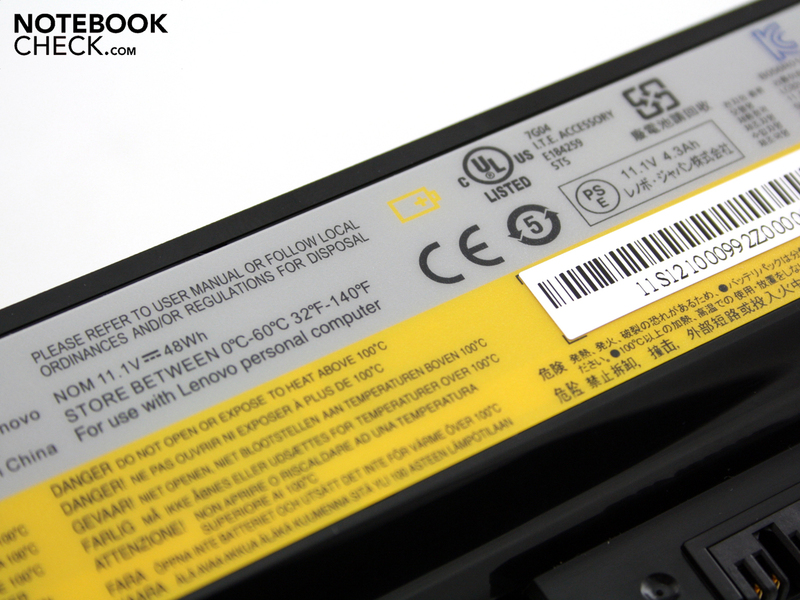 The glossy display (type LTN156AT05J01) is the sort that they use in every bog-standard laptop. The battery life is somewhat disappointing at 2 hours 30 minutes (wireless internet surfing). The culprits are the comparatively high energy consumption when in idle, typical of AMD processors, and the limited battery capacity of 4,300 mAh. Anyone trying to enjoy some music or a film with the laptop’s built-in speakers will have to put up with sound which is unbalanced in favour of the higher frequencies. But even more irritating is the whistling, buzzing sound which turns up during medium levels of fan activity, regardless of silent mode (which can be activated using a special function key). Unfortunately the Z565 often operates at precisely this fan speed during office usage, so it is not easy for users to escape the sound. These two issues suggest that the Z565 has not exactly been well thought-out as an entertainment laptop. ATI Mobility Radeon HD 5470 - 512 MB, Core: 750 MHz, Memory: 800 MHz, GDDR3, 8.712.0.0. According to Lenovo, the Z series offers the consumer “great variety at excellent prices”. 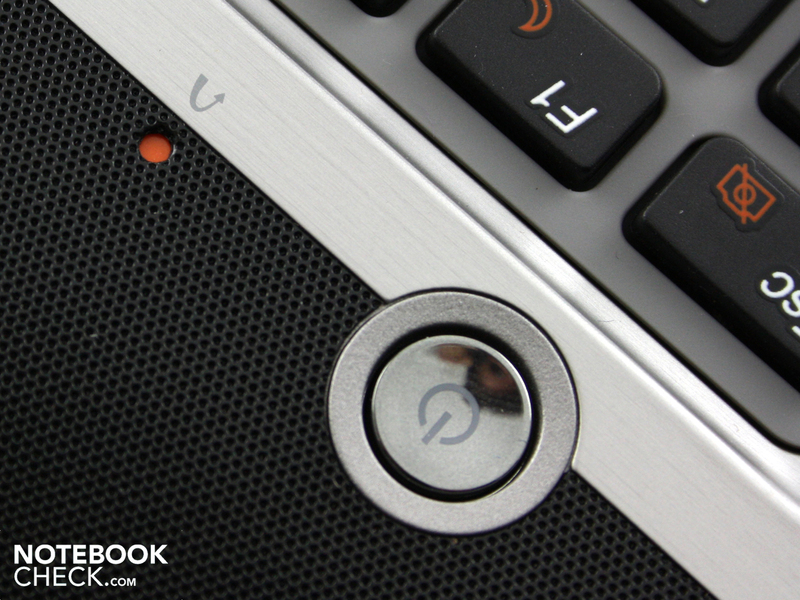 The touchpad buttons are a great success - a good stroke depth with light tactile feedback. 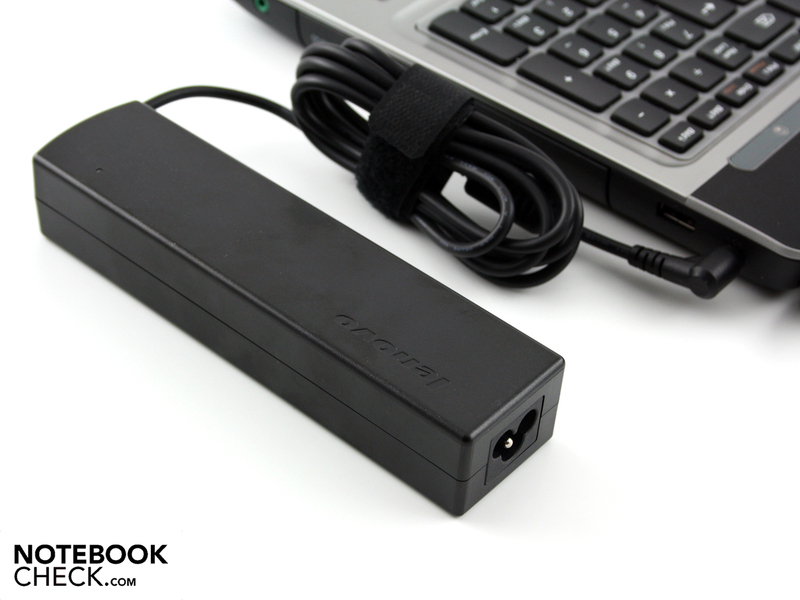 The mains adaptor is unusually long (16.8 cm) and weighs 342g. This makes it almost bigger than a man’s hand. It has a 90 Watt capacity which is more than enough for the maximum energy consumption. The battery can be removed during use, as there are no feet on it. It has a 48 Wh, 4,300 mAh capacity. That is only enough for a mediocre battery life of 2 to 2.5 hours. and the RAM module (2 x 2GB DDR3). The AMD processor is plugged in, but not the HD 5470 GPU (bottom right). The graphics card is soldered onto the motherboard. Next to the power button, there is a tiny red button for a recovery emergencies. You use a pen to press it and it immediately loads your recovery options. Because of the irritating fan noise, the fan button will become a firm favourite. 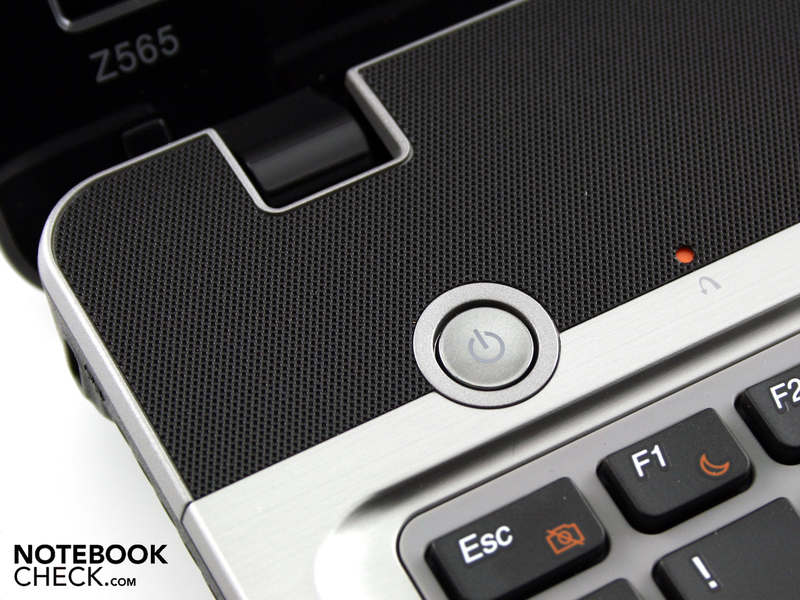 The panel of special function keys above the keyboard lets you change the fan mode amongst other things. 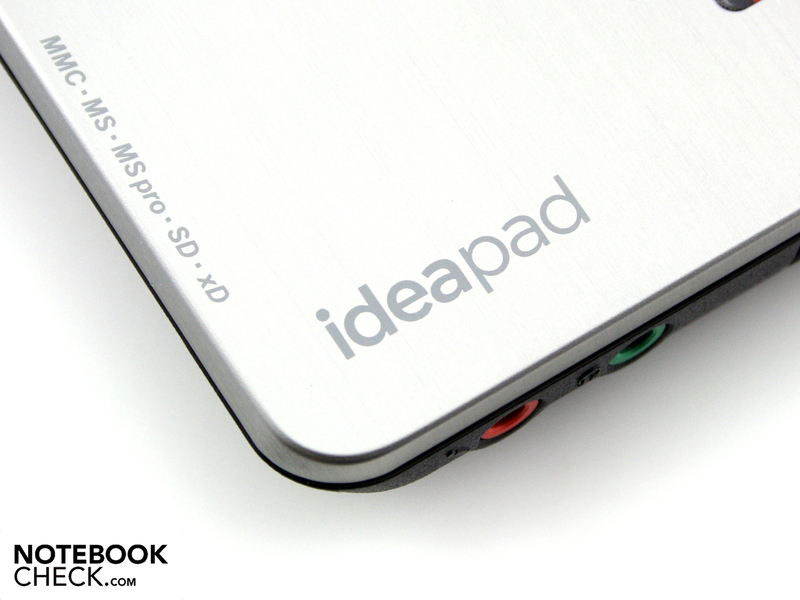 IdeaPad is the name of the series. They are the “fun” laptops from the makers of ThinkPad. 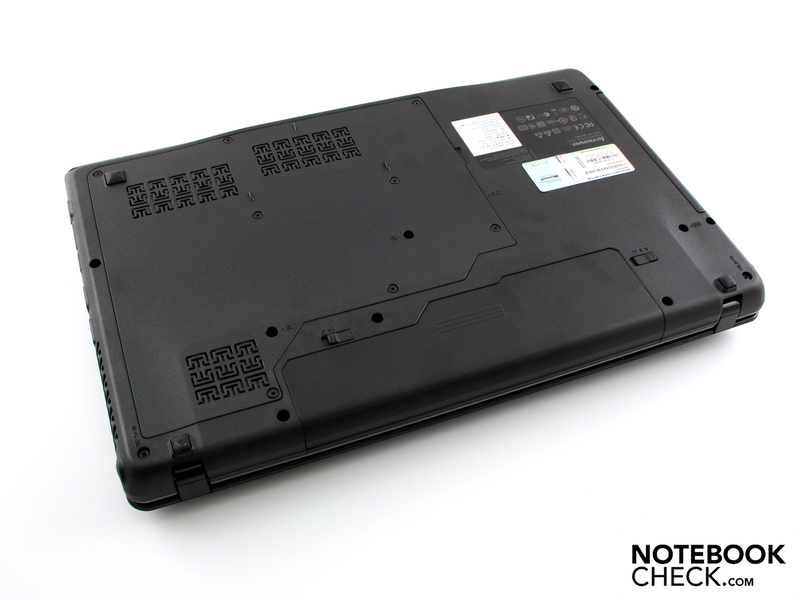 We got hold of a Lenovo IdeaPad Z565. The hardware, an AMD Phenom II X3 N830 along with a mid-range Radeon HD 5470 graphics card, makes this an allrounder laptop. The plastic casing feels solid in your hands. but the palm rest is covered in a high-quality, non-slip aluminium. 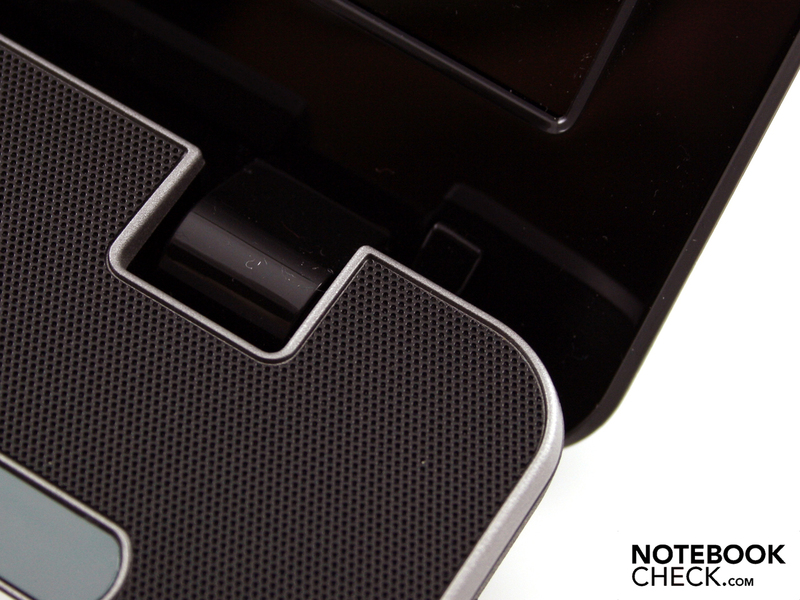 The cool, scratch-resistant material also surrounds the keys (and microphone opening). The hinges are firmly attached to the case, but they do allow the lid to wobble for quite some time. The webcam shows whether it is active with a small LED. The base unit is made of a rough plastic (WLAN switch shown here). The card reader is unobtrusively positioned here, and can also read xD. It is easier to hit the right key as they all dip in the middle. 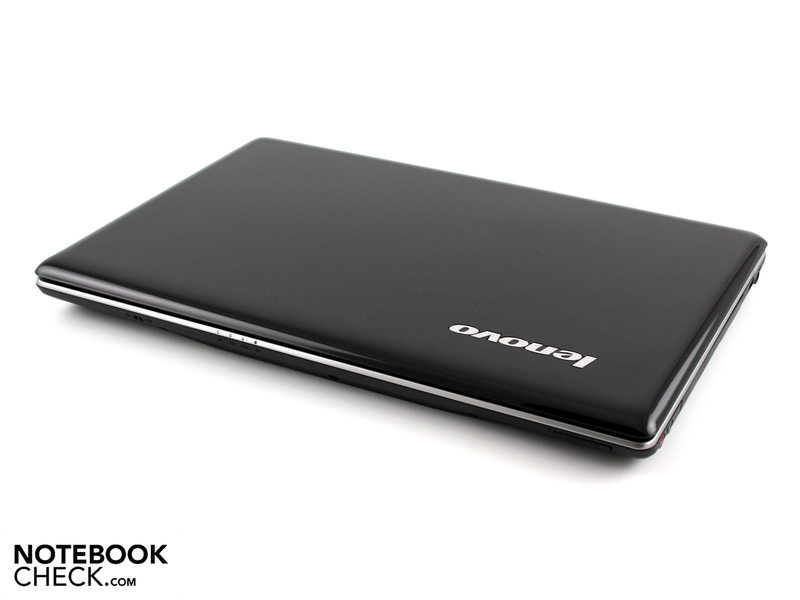 The Lenovo IdeaPad Z565 (M39AAGE): a good allrounder laptop whose main strength is its workmanship (aluminium). 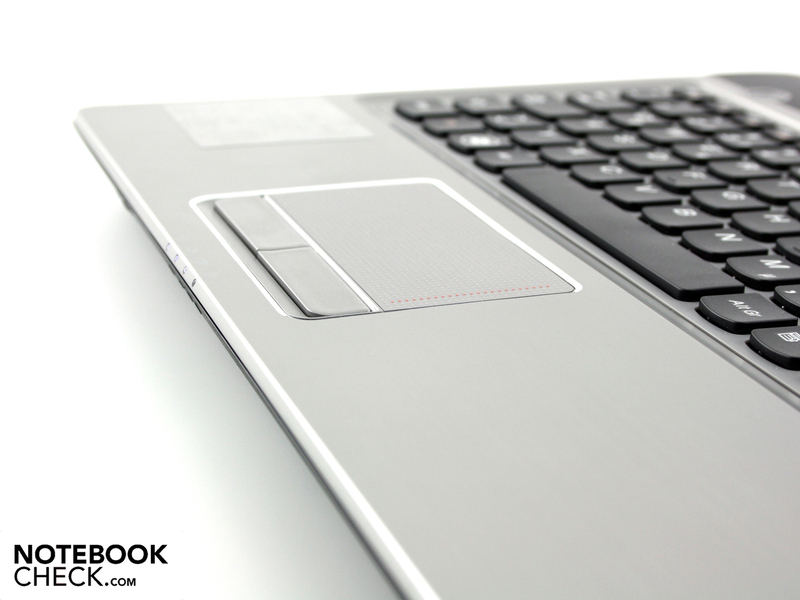 The robust and high-quality aluminium palm rest, along with the accurate keyboard and touchpad keys. Decent sound quality with a small subwoofer on the underside, as well as better screen contrast. Lenovo’s description of the laptop seemed like a joke to us: “Dolby stereo surround sound and two 5.1cm (2”) quality speakers”, and “gorgeous LED 16:9 displays”. The statements may be factually accurate but they create a false impression. Asus N71JV: with a subwoofer and better sound quality; Samsung R780 Harry: GT 330M with better gaming performance; Acer Aspire 7740G: a 17-inch machine with a better CPU, but starts at €650; Sony Vaio VPC-EF2S1E/BI: same CPU but with Radeon HD 5650; Packard Bell EasyNote Butterfly S: more portable and with a graceful aluminium appearance; MSI FX600: with four loudspeakers; Samsung R590: suitable for gaming; Packard Bell EasyNote TM87: looks attractive in red.